Holtzman announces a clamp-on CPI-42R tester that finds drops and house wiring that cause upstream ingress and signal leakage. One problem that cable operators have today is finding shield breaks that are causing upstream data services to fail. For an interference problem to occur, two factors have to be present simultaneously: a shield break and an active noise source driving its interference into the shield break. This represents a particularly bad situation for troubleshooting interference problems, because the noise source might be shut off before a technician can reach the site. Holtzman Inc has a solution: an actively induced broadband test signal driving a new sheath current induction tester that can uncover latent shield breaks. Animal chews, corrosion, poorly shielded consumer electronic devices, cheap cable, and bad installations all may cause these shield breaks. The shield breaks may be outdoors or indoors, underground or aerial. The technique can be used to find houses with bad shield integrity without gaining access to the insides of the houses. A Cable Clothespin is a broadband radio frequency transformer with a primary winding, a magnetic core, and a single secondary winding. The secondary winding is the shield of the suspect drop cable. A broadband test signal from the Cable Clothespin is driven into the primary winding of the transformer. If there is a shield break, a signal will appear on the center conductor of the coax. 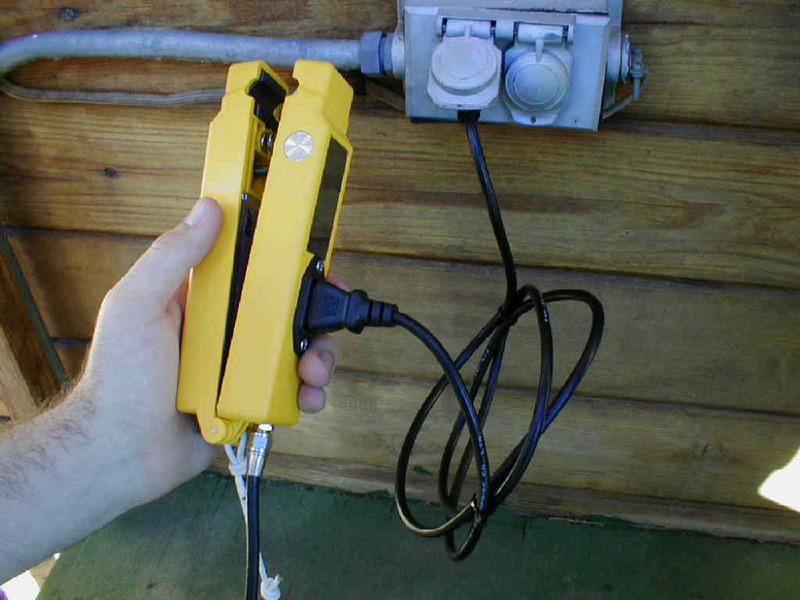 The model CPI-42R shown above is a self-contained noise source that has a transmitter and battery pack integrated with the transformer. It also has an internal receiver with a bar-graph received power indicator. 1. Remotely observe the test signal spectrum back at the head end or hub site. 2. Use a “local receiver” in the field. 3. Use the internal receiver and gross power indicator. The first method is a preferred method because it does not require interrupting any drop connections. There are two common ways to observe the upstream spectrum while out a technician is out in the field: A downstream modulator returning a video of the spectrum analyzer over an unused downstream channel, and a telemetry channel returning the spectrum to a custom receiver in the field. 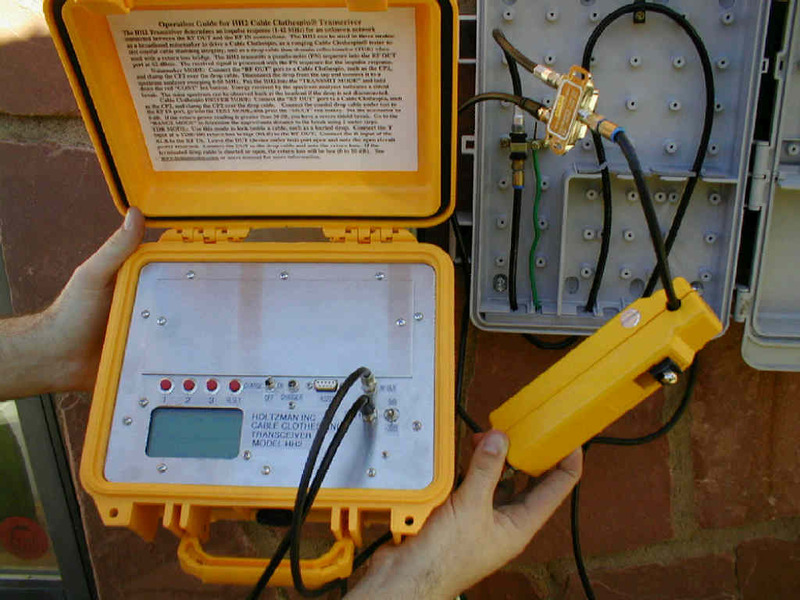 Several cable test equipment manufacturers offer this telemetry channel equipment. There are multiple methods to implement the second “local receiver” method. One method is to use a conventional spectrum analyzer. There are also several models of hand-held meters that work in a return spectrum analyzer mode. Contact Holtzman Inc. for more details. The receiver inside the CPI-42R measures broadband power and illuminates a bar-graph meter to indicate any received signal. Each additional bar on the meter represents 5dB more signal. The termination state of the cable does not significantly influence its shielding ability. The range of a Cable Clothespin is several hundred feet, covering a city lot. The Cable Clothespin uses a broadband test signal to get around the problem of a shield breaks frequently being frequency selective, with nulls at some frequencies and peaks at other frequencies. Tuners in some consumer electronics devices are examples of devices that have poor shielding that is frequency-selective. Note that conventinal signal leakage testing typically occurs multiple octaves in frequency above the frequencies where data services are carried. Figure 2 below is a spectrum analyzer plot of a 5-30 MHz return with a DOCSIS® modem transmitting. There is a shield break, but no active interference. 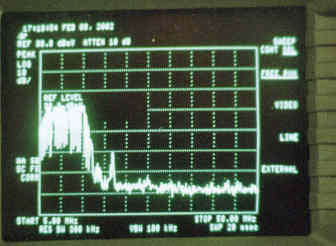 Figure 3 below is a spectrum analyzer plot taken a few seconds later with a CPI-15R Cable Clothespin turned on. Note that a low pass filter is used inside this Cable Clothespin model to avoid interference with the data services. An band-limited model, CPI-15R, limits energy above 15 MHZ to avoid interference with services above 15 MHz. The HH2 Cable Ranging unit can range the distance to a shield break and quantify the severity of the break. Another way to find shield breaks is with a model HH2 Cable Clothespin Transceiver driving a CP2 Cable Clothespin probe. The HH2 test system can not only determine that there is a shield break, but also range the distance to the break and quantify the break with a numerical value. The ranging feature reduces troubleshooting time and the numerical value eliminates subjective judgments on drop replacement decisions. 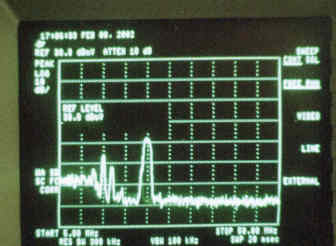 The HH2 uses a broad-band spread-spectrum signal for testing. The CP2 Cable Clothespin has two modes of sheath current induction. The first is the transformer method is explained above. The second is a new power line wall socket injection mode. This new mode uses the same signal path that many sources of interference use, from the wall socket to the drop cable. The HH2 operates in multiple modes to function as a complete drop maintenance tool. A noisemaker mode allows the drop to be tested with a receiver in the feadend. This eliminates the need for disconnecting the drop to discover a shield break. A ranging mode is used after a shield break is detected. This mode is used to range a break after the break is found. A TDR (time domain reflectometer) mode is used to check for problems inside the cable. This mode can find problems, such as water, or a staple in the cable that doesn't cause a shield break. The TDR mode is unique in that it does not have a zero distance blind spot because it uses a return loss bridge. A wall socket injection mode is also available. This method is not so useful for ranging, since it is difficult to determine the path that the house wiring takes. Nevertheless, this test is a direct indicator of the susceptibility of the return system to be affected by noise on the AC house wiring. Figure 4 below shows a model HH2 Cable Clothespin Transciever and a model CP2 Cable Clothespin probe ranging a distance to a shield break. 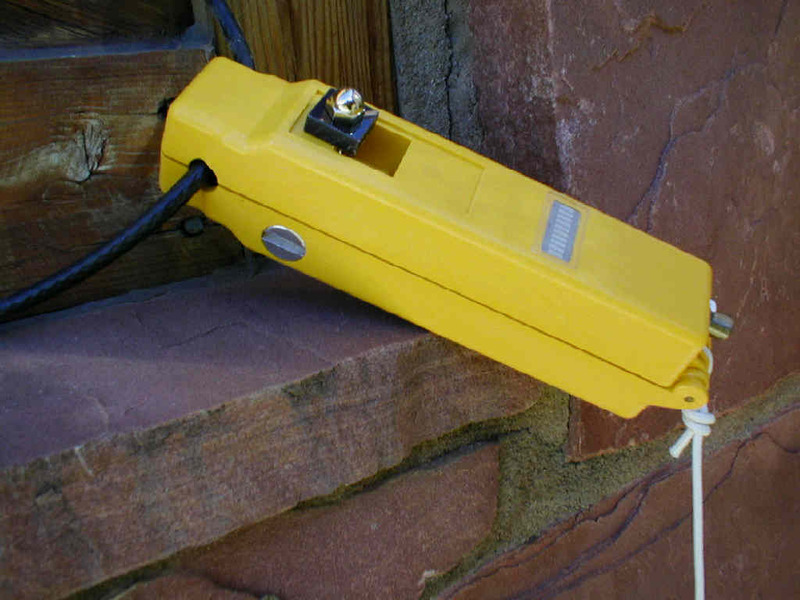 Figure 5 below shows a model CP2 Cable Clothespin probe configured to inject broadband test current into a wall outlet. US patents 5990687, 6,140,822, 6,151,559 and 6,344,749 protect this technology. Other patents pending. Contact Holtzman Inc. for pricing and availability. Click on the link below for a copy of a NCTA technical paper describing the technology.